This last weekend has been one of those exciting occasions I get to see first-hand the original screen-worn Six Frock Coat. It’s always a privilege to have the chance to lay it out on my workbench and admire the craftsmanship it contains. 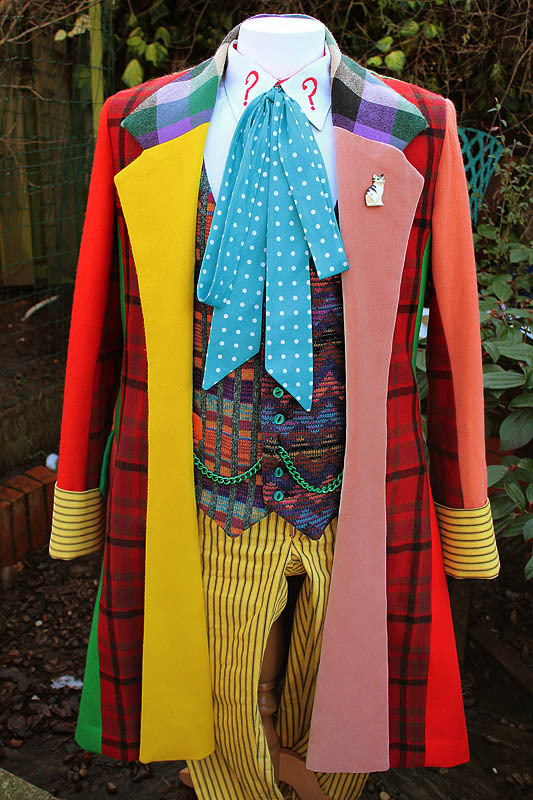 It may be a technicolour yawn of fabrics and styling, but the way it is made is beyond explanation, and since I have learnt all my tailoring skill I can now see the superb craftsmanship that has gone into making this coat. Anyway, the reason it is here is to progress my work on my own Six Frock Coat, and give me the chance to assess the work to date on matching the solid colour fabrics. 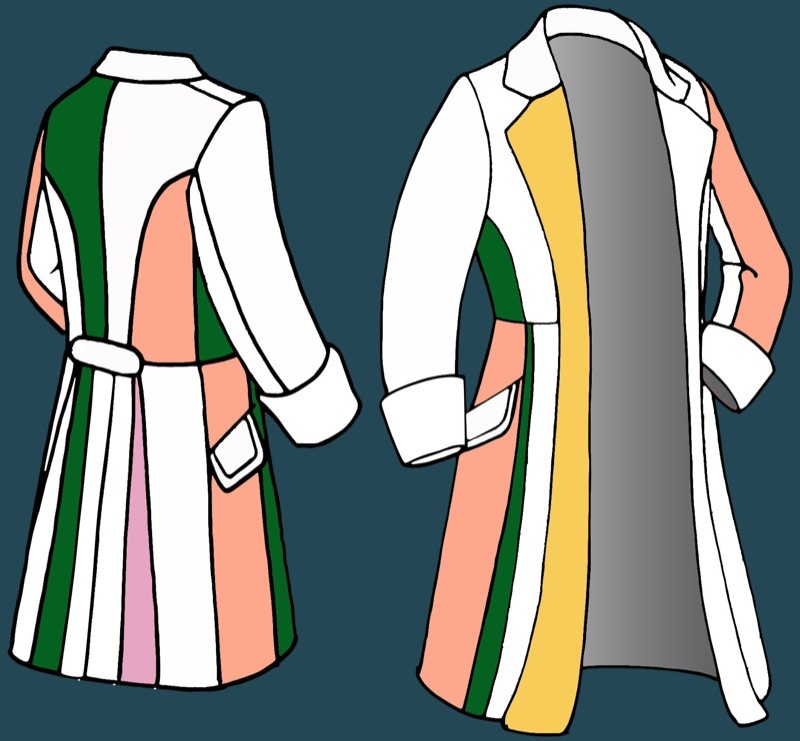 With the coat in front of me, I can compare for myself four of the unsigned off colours I am working towards. I am looking at the Green Felt (Fabric 3) and the Peach Wool (Fabric 4) from the latest, fourth round of lab tests; as well as the Yellow Lapel (Fabric 7) and Pink Felt (Fabric 11) from the very first round. 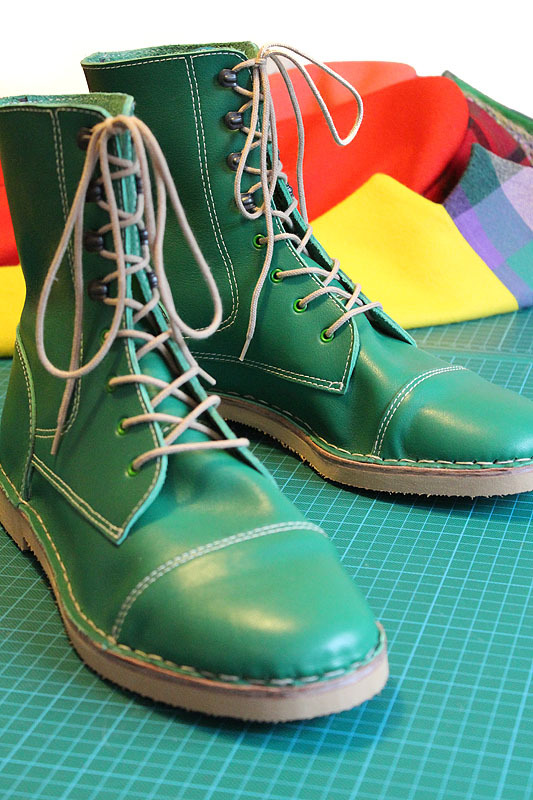 The Green Felt (Fabric 3) is proving to be a bit elusive. I had assumed - wrongly - that it was merely a green baize as used on snooker tables, but it is much more of a grass green compared to that. The colour of the latest swatch is too thin and light, so I might have to take a different route here. The Peach Wool (Fabric 4) from the latest round of tests is now an amazing match. There is nothing I want to do to this to improve it - it is PERFECT! My supplier also has a exact match for the fabric to use, so this one is truly nailed. The Yellow Lapel (Fabric 7) is getting there, though at the moment the yellow I have is to bright. It needs to be a warmer shade. Not too much work to do here. Finally the Pink Felt (Fabric 11) is looking pretty good. 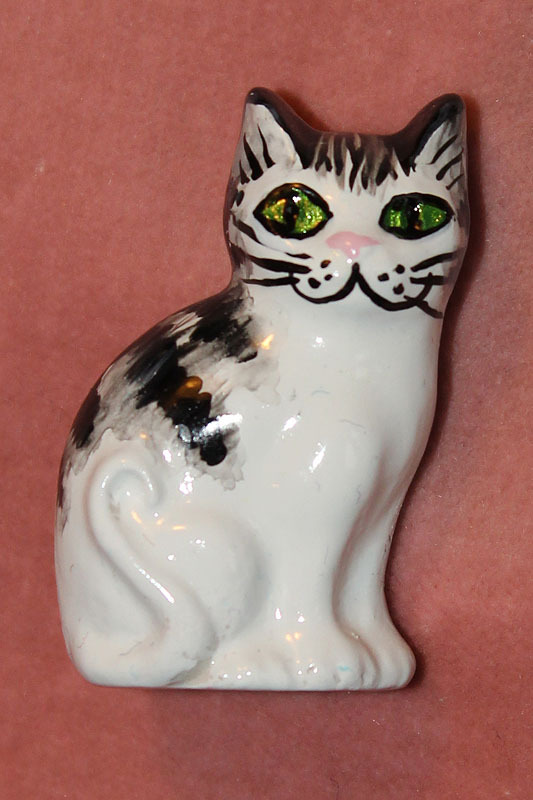 It is a little paler by comparison, but it won’t take much now to tweak it into a match. It is also the least used colour, in a single narrow panel on the back, so I’m not losing too much sleep over this one right now. This has been a very good result, especially since I can sign off another colour as perfect. 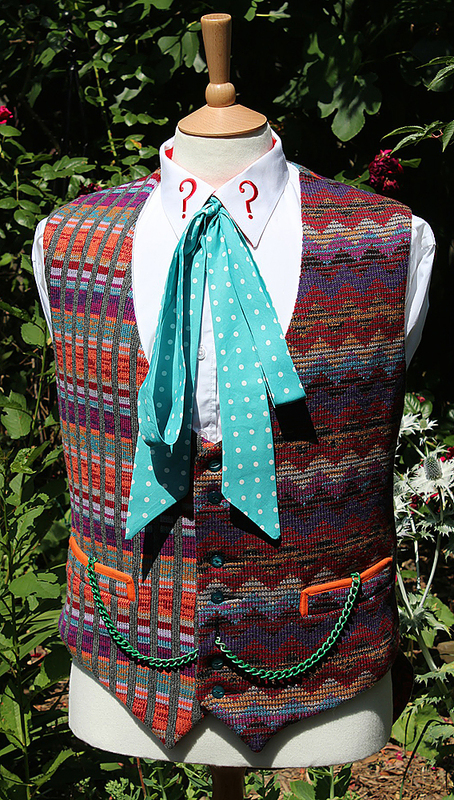 The green is still a worry though, particularly as it is very prominent on the coat. 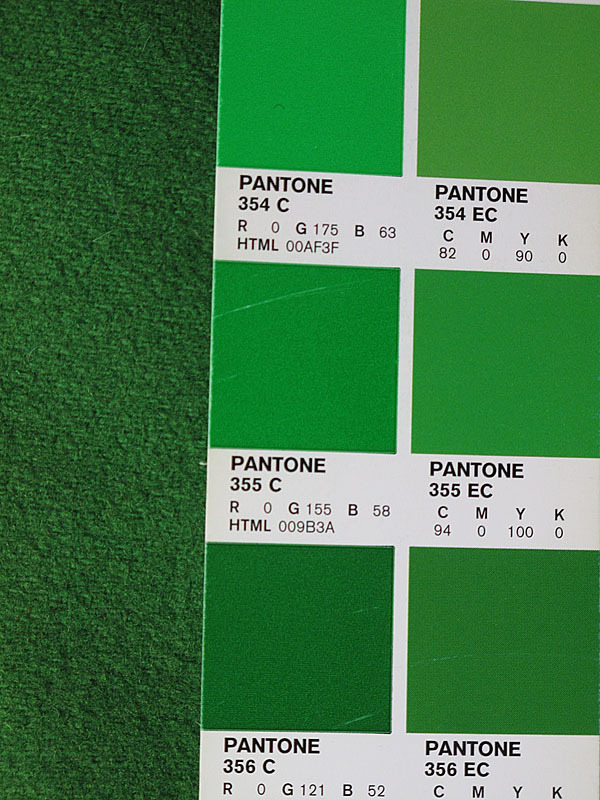 Time to get a trusty Pantone book out and see if we can get a better match that way. 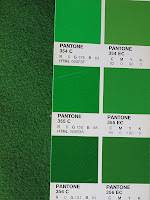 Looking though it would appear Pantone 356 is the best I can find. I will pass this onto the dyers and see what they make of it. Fingers crossed. While I have the coat here I can also take a look at the 3D printed button I have commissioned, and see how it has turned out. Comparing the button side-by-side with the real thing I was amazed how well it looks. The size is spot on - there’s less than a millimetre between them. Thickness and profile are also very good too. In fact I’m finding it hard to come up with anything that warrants any revisions. This is signed off at the first attempt! Result! 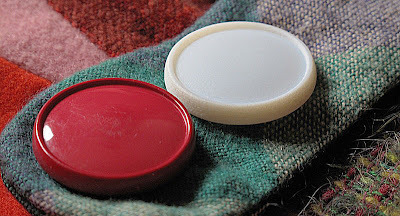 The master 3D printed button has now been passed back, and will be going to the resin caster very soon. I can’t wait to see how the final version comes out!